People often say the restaurant industry is a competitive one, and the numbers check out. From 2001 to 2018, the number of restaurants per citizens has increased by nearly 15 percent. It seems like everyone out there is eager to share their wizardry with a knife, a frying pan, and an array of spices. While that presents more exciting options for those of us looking to enjoy a night out, it means newcomers are having a tougher time. So, if you’re an aspiring food enthusiast looking for the key to a successful restaurant, we have five tips for you here today! Let’s look at what it takes to stay ahead of the foodie curve. When we say you need to fill a void, it means your restaurant needs to do something that others don’t. It doesn’t mean that you can’t do things similar to other restaurants around you, though. For example, maybe there are a lot of burger joints in your area, and you want to specialize in burgers and sandwiches, too. That doesn’t mean that you can’t (or shouldn’t) make a burger restaurant, but you just have to do it differently than the rest. Make sure that your restaurant has a unique identity, mission, etc. Whatever it is, have it in writing for you and your team to reference and stick to it at all times. As we said, your restaurant needs to do something others in your area don’t. Whatever that is, make it your brand and stay consistent with it. That means everything from your restaurant business’s name, logo, color scheme, menu layout, offerings, etc. should be consistent. Take a page from a pro, and learn more about Il Gelato. They consistently use tradition, the past, and romanticism to draw customers into their brand. The reality is that, in today’s day and age, people search for restaurants online more than anything else. Sure, people may naturally stumble upon your restaurant when passing by, but an online presence is crucial for securing new guests. This means you need to at least create as many social media accounts as you can and have an inviting website. Your online presence will help people see you from more areas than before. You could even be featured on blogs, such as this list for best places to eat in Europe. A good experience at a restaurant involves a certain degree of organization. When food is ordered, prepared, and served promptly and fluidly, guests don’t even notice the inner workings. This means that you need to set up a clear system of organization and communication between you and your team. Your chosen location may be the most important part of what makes a restaurant successful. Research your immediate area. Is there a need for what you want to provide? Is the competition too fierce in a given area for what you can handle? You even need to consider little details such as the availability of parking and if the clientele nearby is the kind that you intend to attract. Just like the beautiful and delicious food you want to provide, you need to craft a successful restaurant from scratch. 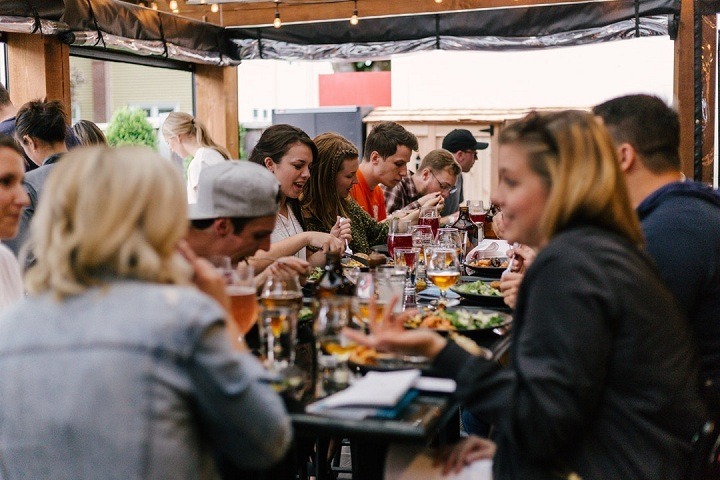 The restaurant industry is notoriously competitive and difficult, but there are some things you can do to ensure some success. Make sure you are providing something that is needed or wanted, do it consistently, and make sure you are in a prime location. If you’re getting started on a new restaurant venture, make sure you’re covered with any small business insurance you may need!